The 2019 NGLCC International Business & Leadership Conference is coming to Tampa! Click to learn more about the largest LGBT business event in the world. in diversity and inclusion for all communities. Certification is the first step in building relationships through corporate supplier diversity. 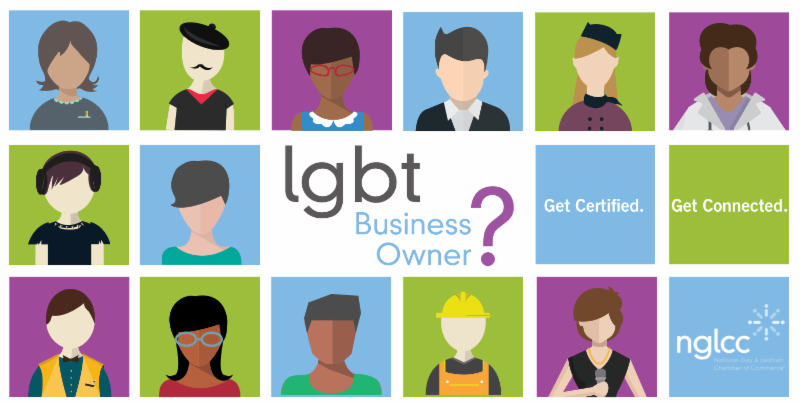 NGLCC helps certified LGBT Business Enterprises (LGBTBEs) move their businesses along the certification continuum toward those relationships that could offer them the opportunity of a lifetime. By becoming a certified LGBTBE, businesses are able to build relationships with America's leading corporations, generate prospective business and clients, and collectively team with each other for contracting opportunities. As corporate America becomes more inclusive and further diversifies its supply chain, certification offers the opportunity for LGBT-owned businesses to differentiate themselves from their competitors. The process is quick, easy, and can take less that 20 minutes! Click Here to Start Your LGBTBE Certification. NGLCC events gather corporate decision makers, govenment officials, and business owners from around the globe for premium matchmaking, strategic networking, and professional development opportunities. Real relationships lead to real business. NGLCC creates a forum for meaningful relationships with fellow business owners, corporate partners, and local leaders. Explore ways to leverage your certification! Certification is a journey, not a destination! As a certified LGBTBE, you have a unique platform to forge powerful business connections with America's leading corporations. The NGLCC is the exclusive certifying body of LGBT-owned businesses. Become a member of your local affiliate chamber to not only leverage local membership benefits, but also take advantage of complimentary national certification. At NGLCC, we recognize that a growth business needs not only a strong local network where business owners live and work, but also business certification and access to all the strategic growth opportunities offered by our national organization.